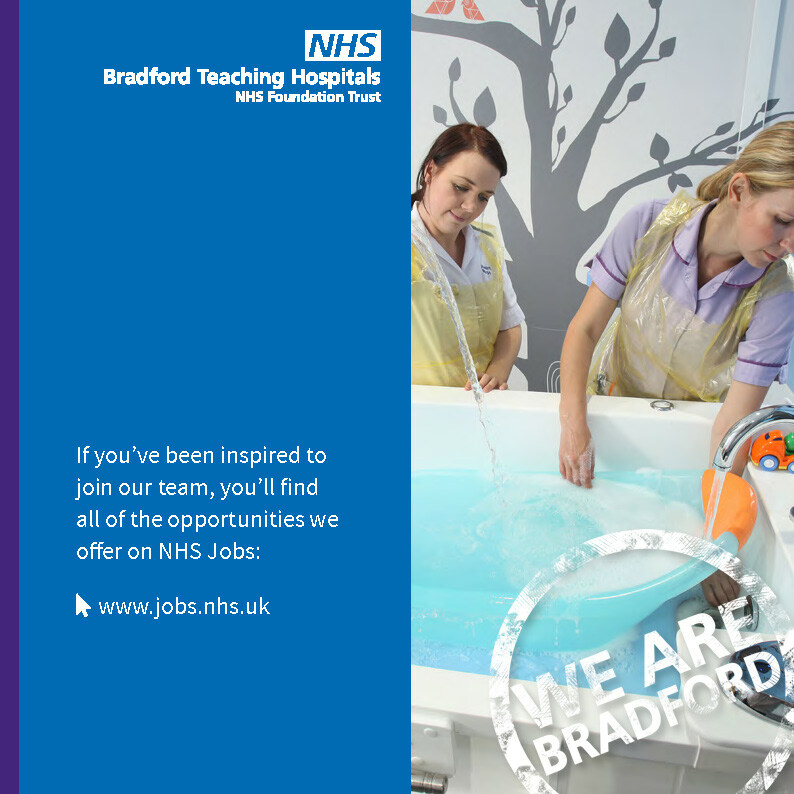 We are extraordinary, energetic and enterprising and we are Bradford. Come and create the future with us. 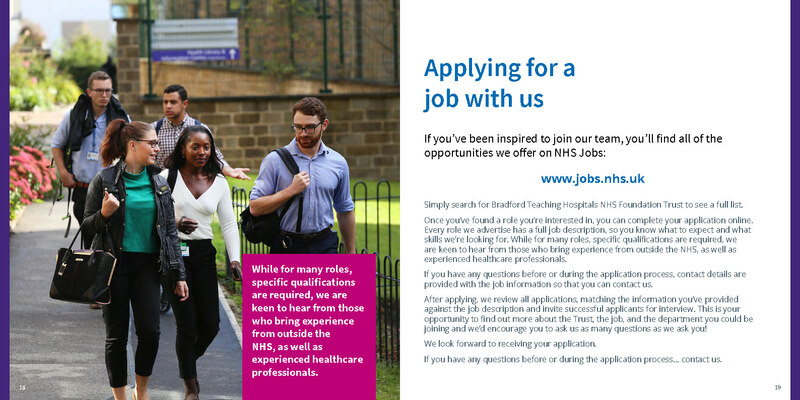 Click here to see our latest vacancies. 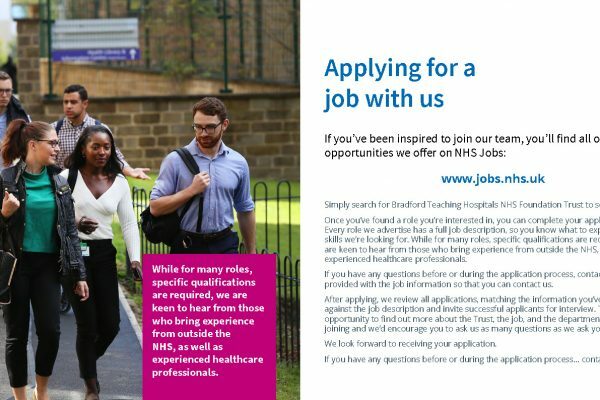 Share our passion for outstanding healthcare? Come and join us! 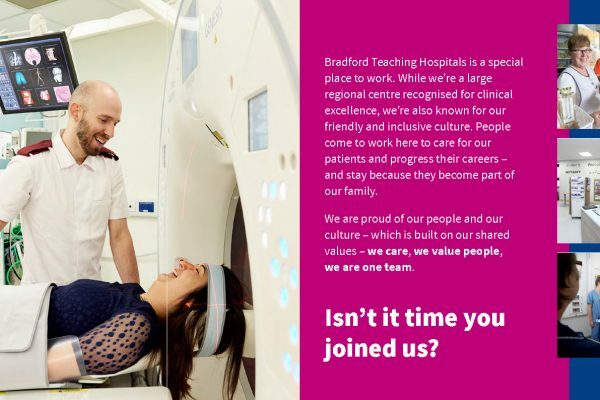 At Bradford Teaching Hospitals we’re passionate about providing outstanding care for the people of the Bradford district and communities across Yorkshire. 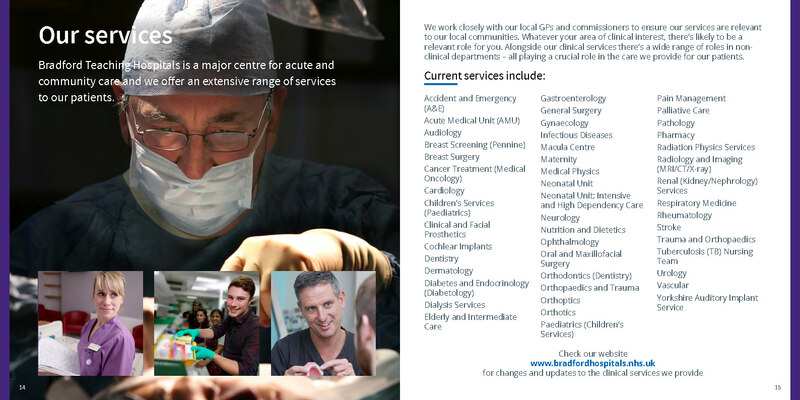 We’re keen to meet people interested in sharing our passion and helping us continue to deliver the highest quality of care to our patients. 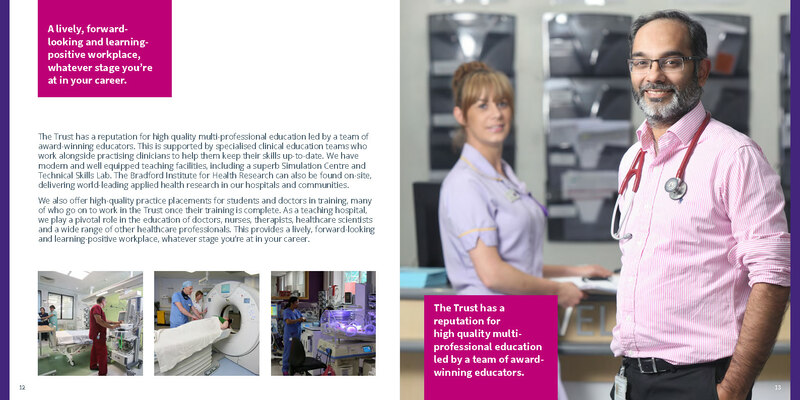 We’re a renowned teaching hospital trust at the forefront of research, education and development, with a state-of-the-art simulation and skills training centre on site. In short, we can help you lift your career to the next level. 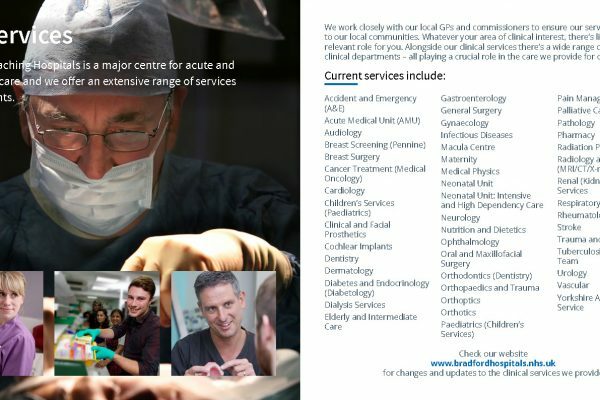 We’ve received huge investment to improve patient care which means we have truly world-class facilities including a brand new neonatal suite, state-of-the-art intensive care unit, a newly refurbished A&E department, new children’s unit and a welcoming, modern atrium and reception area for staff and visitors. 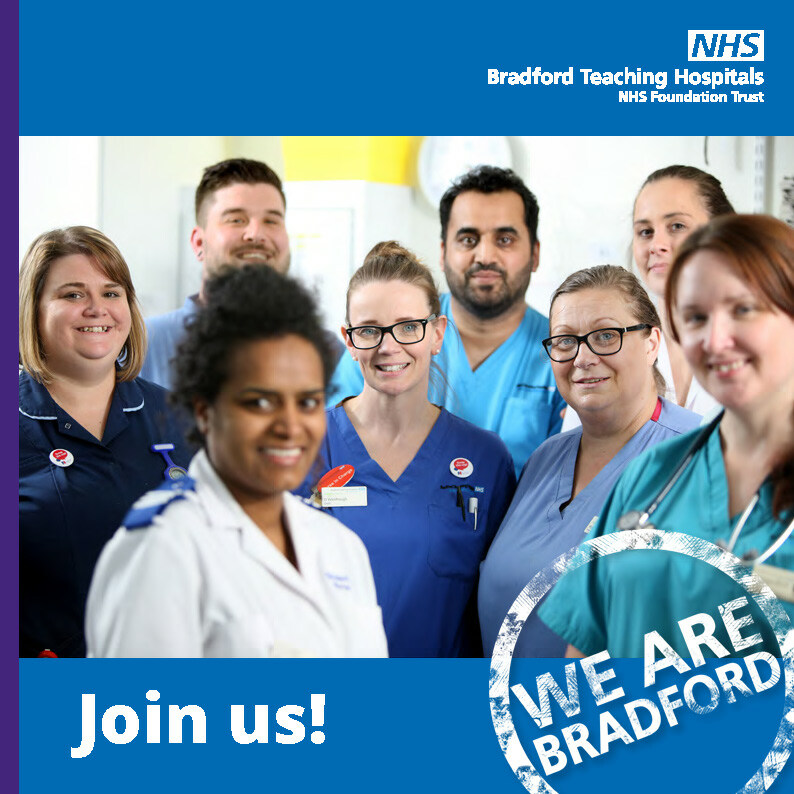 Our preceptorship programme for new staff builds confidence, improves practical knowledge and skills and helps you find your feet too. 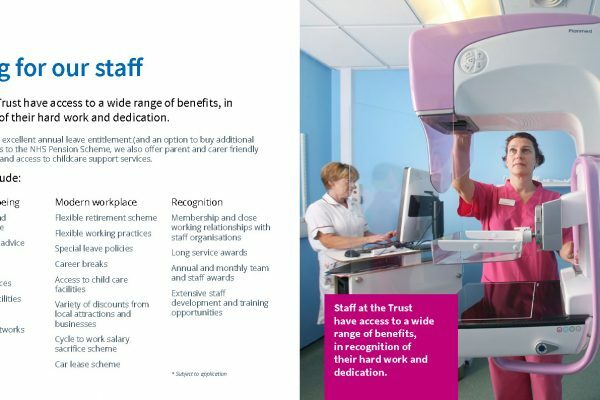 Please see our general recruitment brochure for more detailed information. 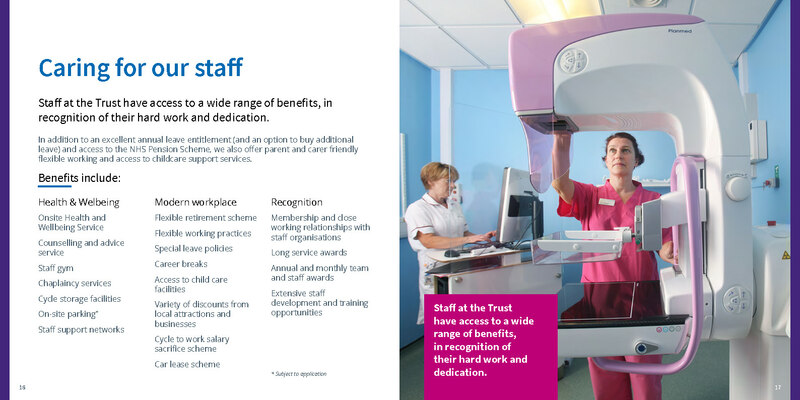 We’ve also put together a separate recruitment brochure for nurses. 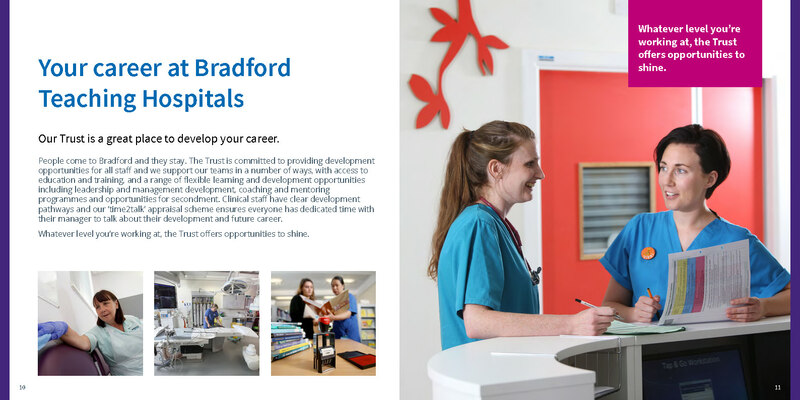 We have a strong service sector, a community ethos and easy access to stunning countryside which make Bradford a great place to live and work. 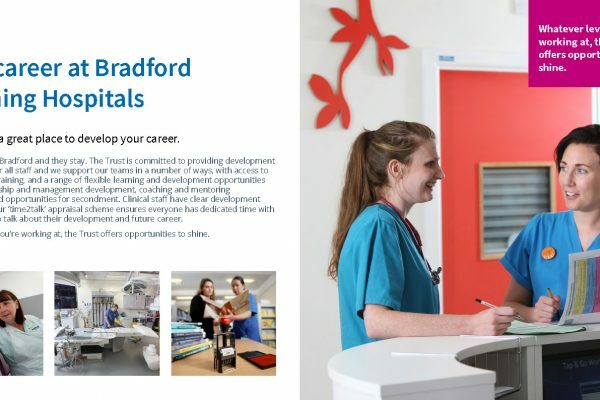 As the youngest city in the UK Bradford – alongside Bradford Teaching Hospitals NHS Foundation Trust – is also investing heavily in the future by providing the right training at every level. On top of this, we have very competitive house prices and good schools in attractive areas meaning a move to Bradford brings a high standard of living at an affordable price. 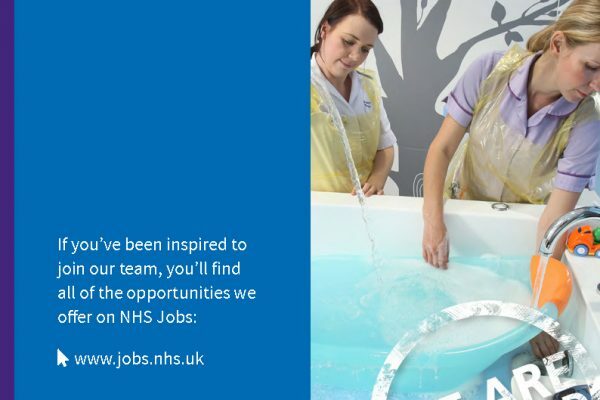 We currently have nursing vacancies and opportunities available on our apprenticeship scheme, and run our own programme for budding nursing associates too. 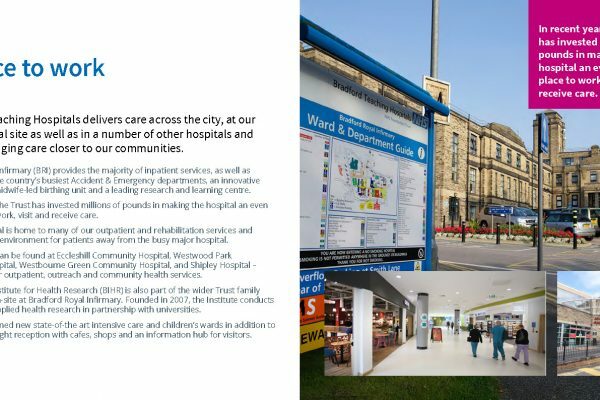 Bradford Teaching Hospitals NHS Foundation Trust became a foundation trust on April 1, 2004 – one of the very first in the NHS to do so. 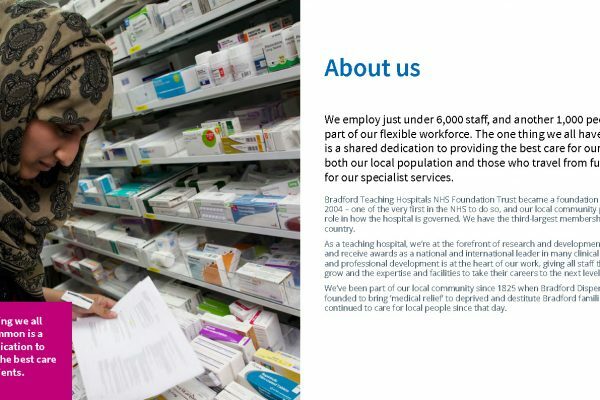 We employ more than 5,200 staff, all of whom are dedicated to providing the best possible healthcare to a population of 500,000. We also have the third-largest membership base in the country. 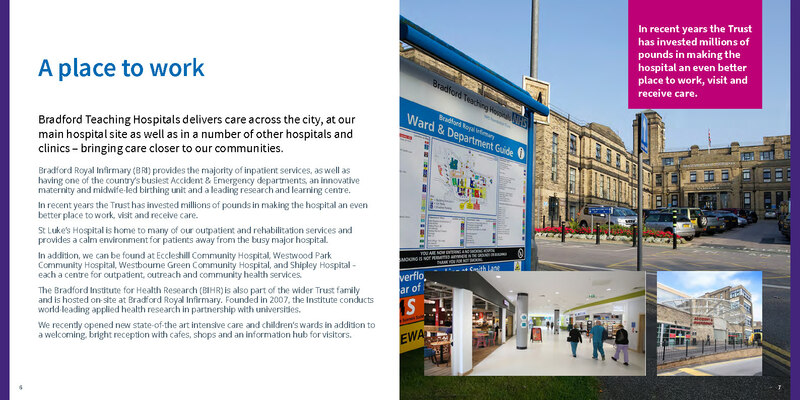 We currently operate over two main sites; Bradford Royal Infirmary provides the majority of inpatient services, and St Luke’s Hospital focuses more on outpatient and rehabilitation services. 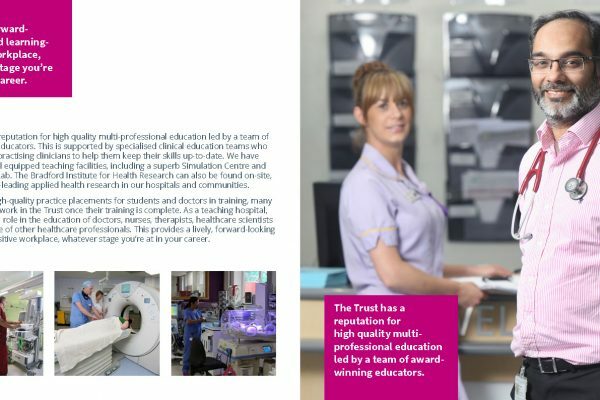 As a teaching hospital, the Foundation Trust is at the forefront of research and development in healthcare. 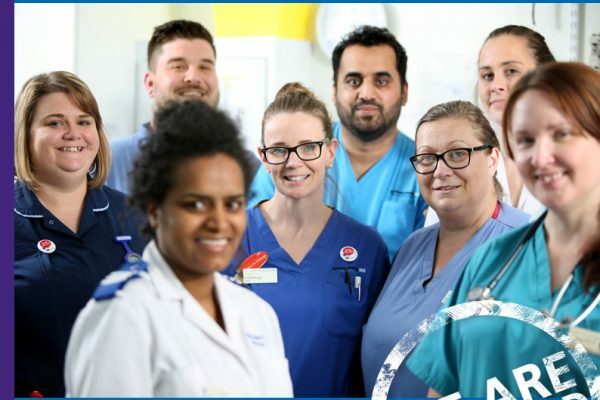 This promotes a culture of learning and professional development that ensures that all doctors, nurses and healthcare professionals practice the highest clinical standards. From the cradle of manufacturing technology in the 19th century, to the cradle of digital technology in the 21st, the youth and diversity of Bradford is an economic, creative and cultural strength. 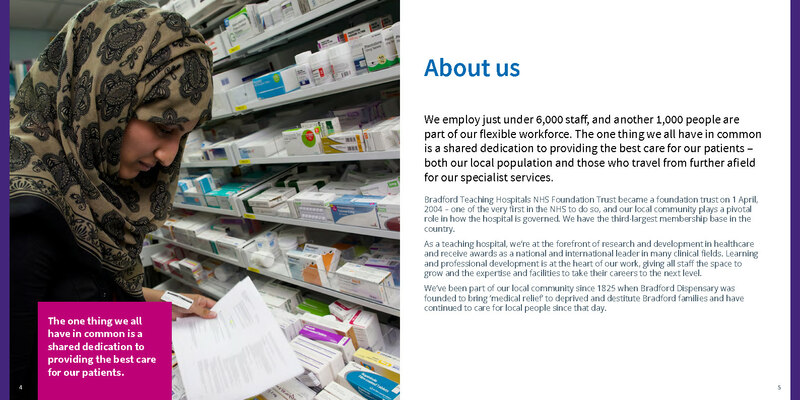 Our district has 17,000 businesses including more FTSE 100 companies than any other city in the north of England. From the best curry in the country, to the world’s turbo chargers, to breakthrough technologies help to manage chronic pain, we have something for everyone. Come and create the future with us! 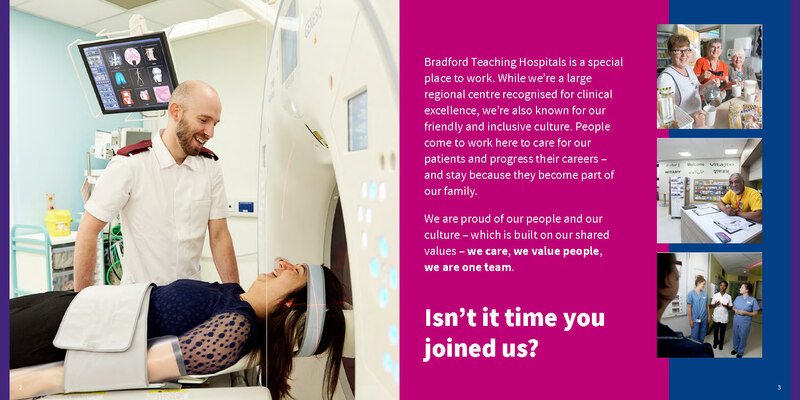 Isn't it time you joined us?